Have you ever had a friend that met someone and you knew that it was gonna be happily ever after? For me, this is one of those rare cases where I knew after I had met Nar, that Danny was gonna marry this girl. I actually called it the first time I met her.... and so now here we are prepping for their lives together. 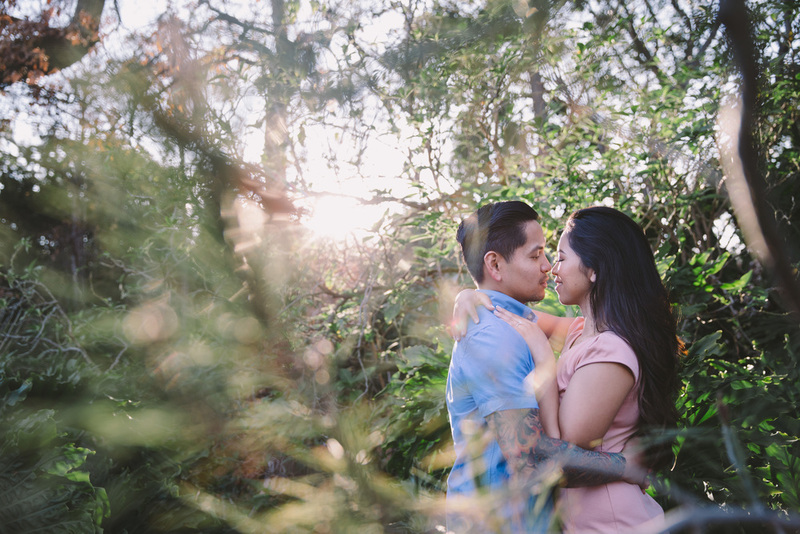 Photographing these two lovebirds during an extremely breezy Sunday morning was challenging because getting hair to cooperate is impossible. However these two were down for the ride and we had a blast up in the mountains. 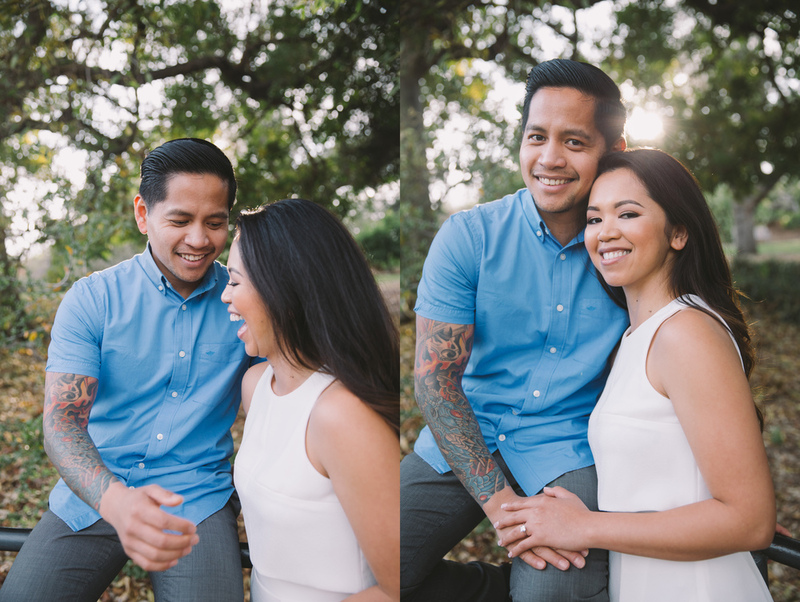 Getting two people who feel uncomfortable in front of the camera is always fun because they never know what to expect but it only takes a short while to find their groove and get natural moments. 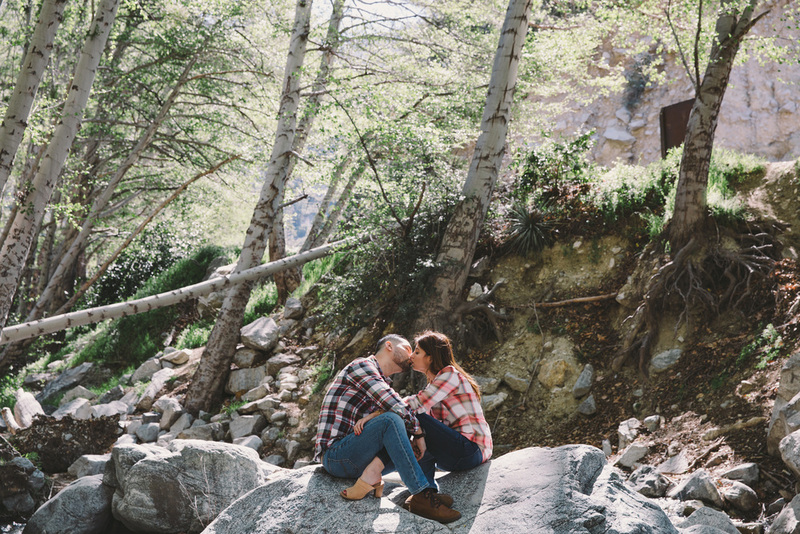 One of my favorites was the shot above where I creeped on these two enjoying a moment of patty cakes.... because when you are in love and your photographer tells you to do it, you do it! I can't wait for the wedding guys.... as crazy as you two are, its gonna be a blast. Shot with an off camera flash on the left for a more dramatic effect and did a natural light on the right for something a bit more natural. A good buddy of mine is getting married this year and when he came to me to shoot his wedding, it was an honor to even be asked. 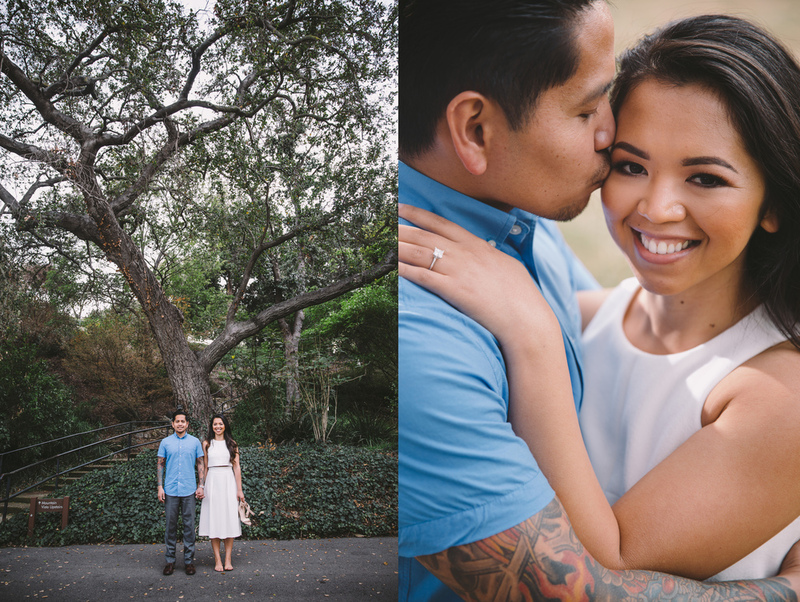 Seems like this year it is becoming more and more common for me to shoot a friend's wedding. What I love about shooting people I know is that they already feel a bit more relaxed since they know me but at the same time it makes it tricky since they can be a bit more playful than with a photographer they don't know personally. 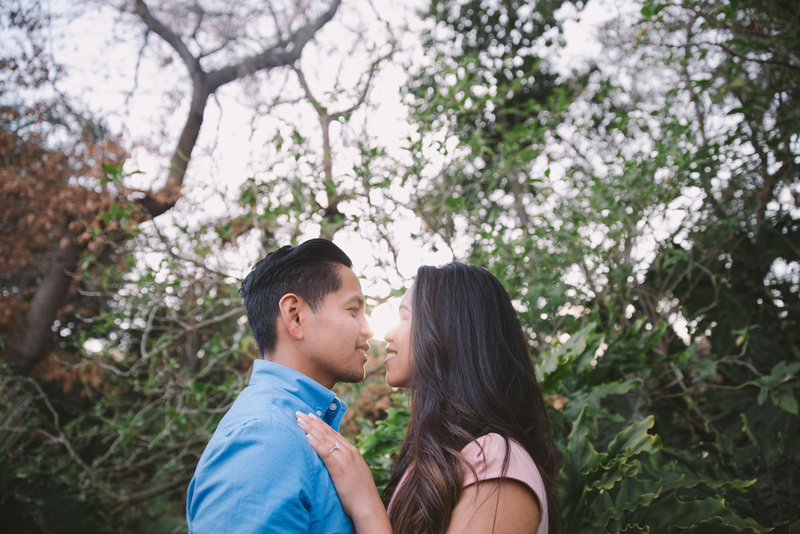 Manny and Maureen wanted to originally shoot at the Getty Museum but they have a policy that states professional photography is not allowed. Oh course we could have broken the rules but we wanted to respect their wishes. 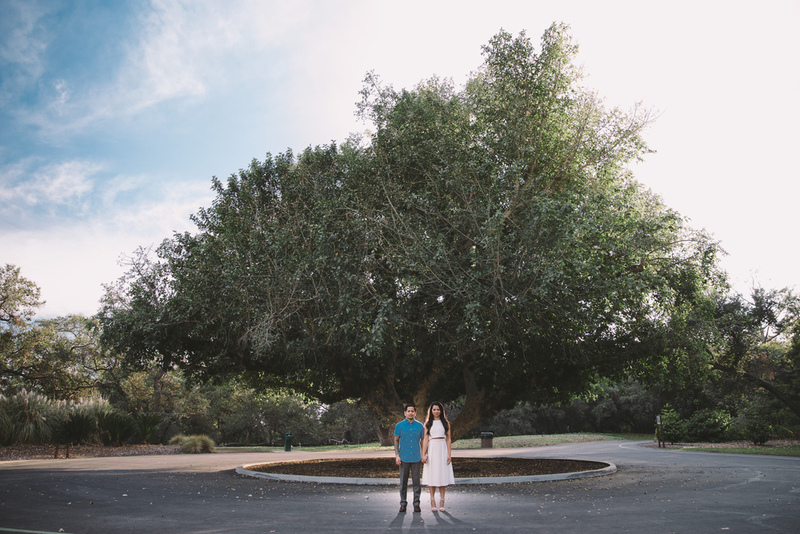 As an alternative, Maureen thought about shooting at the Los Angeles Arboretum or otherwise known as the Botanical Gardens. Since I have shot there previously, I thought it was a great idea as the park is vast and has tons of beautiful backgrounds. As a note, they charge $9 per adult and if you want to shoot photography their with a client, it is an extra $50 fee. It is a pretty fair exchange considering you can roam the whole area and setup lights and such without getting hassled. Since Manny is a buddy of mine, he had told me that he was practicing his smile for that day. Made me laugh since I knew if that was the case, he was serious about looking good in these photos. We started at 2:30pm and shot all the way to closing, which was 5pm during the winter season. It went by so quick and kind of hoped that we had some more time to wander the park but in the end, we were happy with what we had. You guys did great! Can't wait for the wedding day... should be a blast!